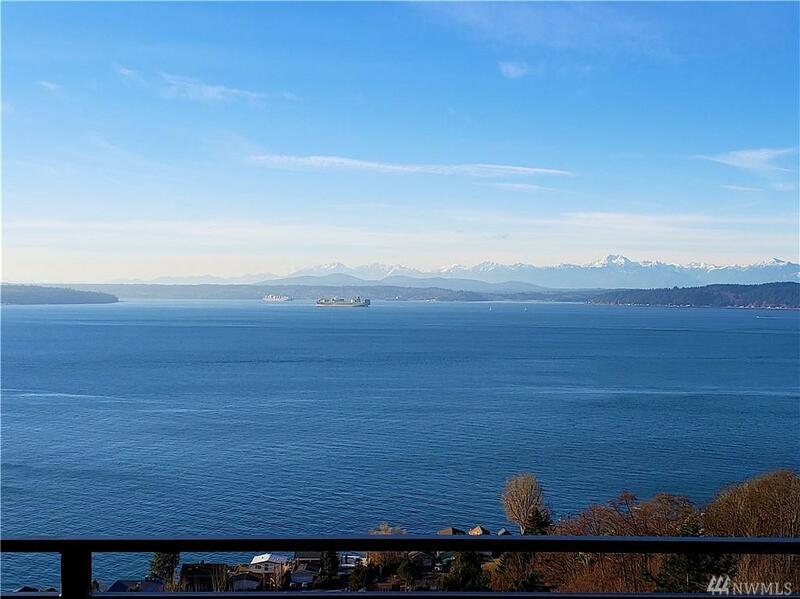 Spectacular 270 view of Puget Sound, Olympics & Mt. 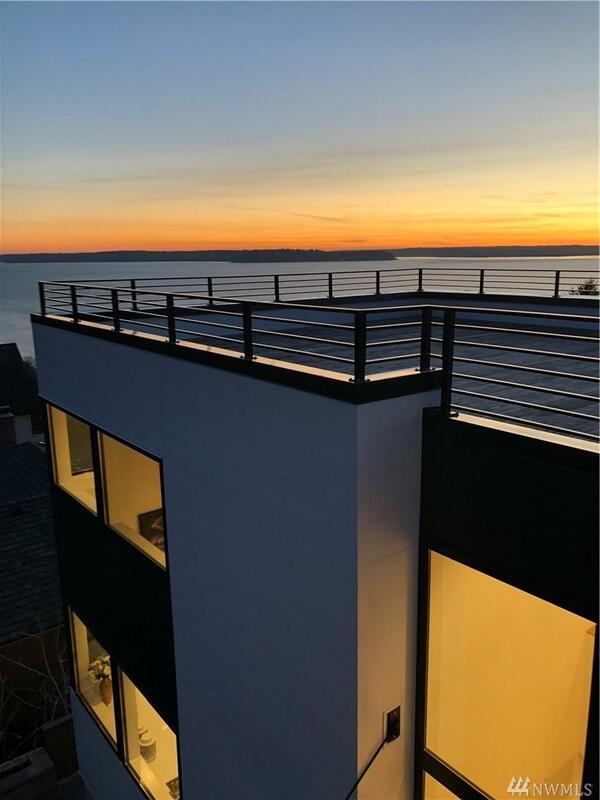 Rainier from all 3 levels of this Sophisticated, Private 4-star BuiltGreen New Home high atop West Seattle hill. 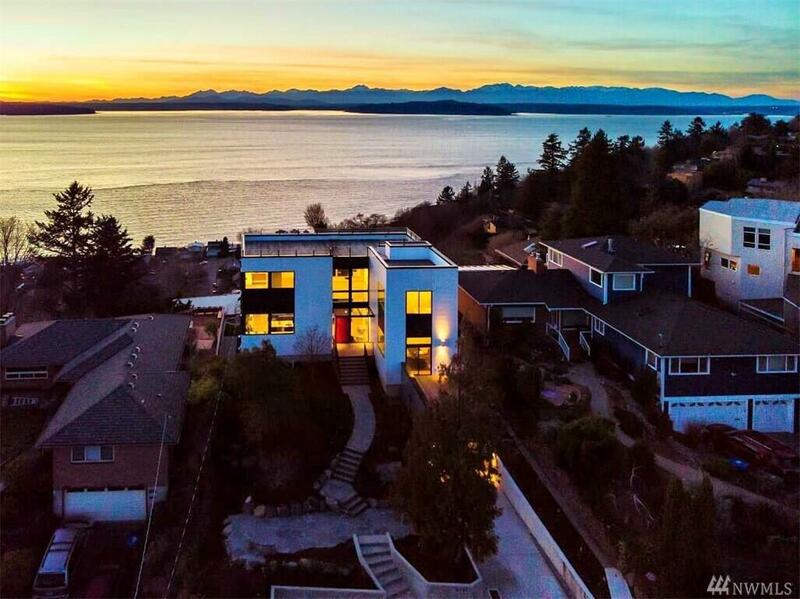 Dramatic 2-story entry w/9 door opens to vaulted great room w/cooks kitchen-the panorama thru sliding glass walls leading to decks & lawn. 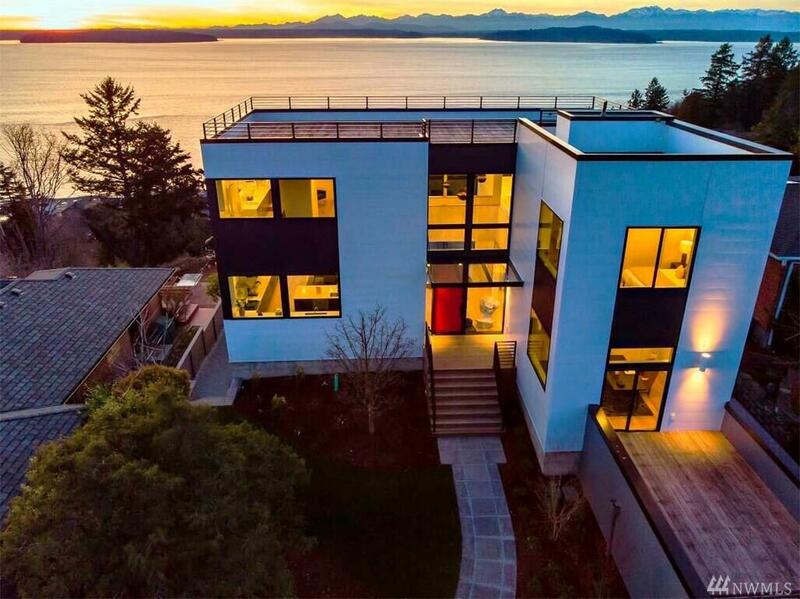 Luxury & comfort w/tall windows & forever views, hi ceilings, high-end finishes & wide plank floors. Spectacular Master & extraordinary rooftop entertainment deck w/ jaw-dropping surround-view!